I am a historian and Department Chair at Huron University College, University of Western Ontario, London ON, Canada. My research and teaching focuses on the social and cultural history of twentieth-century Britain, particularly London. I am fascinated by the histories of ordinary people caught up in extraordinary circumstances: bombing raids and violent crimes. My most recent work focuses on the intersections between photography, forensics, and women’s history, ranging from spoof photography by Victorian female students at a small Ontario college, to the history of abortion crime scene photography in postwar London. Follow me on Twitter at: @amyhelenbell. 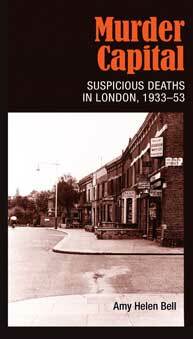 My latest book Murder Capital (Manchester University Press, 2014) examines the investigation of suspicious deaths to illuminate the changes in violent crime over a period of great social upheaval and physical destruction before, during and after the Second World War. Suspicious deaths – murders in the family and by strangers, infanticides and deaths from illegal abortions – reveal moments of personal and communal crisis in the social fabric of the city. Police investigation files, newspaper reports and crime scene photographs reveal not only how people died, but how they lived, and the family tensions, unwanted pregnancies, sexual violence and chance encounters in emotionally-heightened circumstances that led to their untimely ends. By setting the institutional ordering of the city against the hidden intimate spaces where crimes occurred and were discovered, the book presents a new popular history of the city, in which urban space circumscribed the investigation, classification and public perceptions of crime. In my first book London Was Ours (IB Tauris, 2007, pb 2011) I tell the epic story of a London under siege through the voices of those that lived it. For the nine months of the Blitz – from September 1940 to May 1941 – London was subjected to a brutal and indiscriminate bombing campaign, aimed for the first time in history at shattering the resolve of a nation’s people. The Nazi raids on night-time London provide some of the defining narratives of the Second World War; the ‘Blitz spirit’, air raid shelters in Underground stations and all the majesty and power of one of the world’s most powerful cities in ruins. 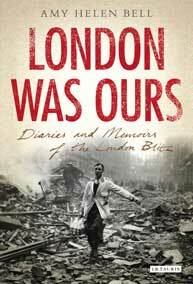 The book is based on over two hundred and fifty diaries, memoirs and letters of Londoners from all walks of life, who scribbled in notebooks from inside air-raid shelters and bombed-out houses to record their experiences of the Blitz. By weaving these together and drawing out themes of loss, courage and love, what emerges is a commentary on our collective memory of one of the great conflicts of modern times. By letting the warmth, despair and hope of these personal recollections speak, London Was Ours is I hope a monument to the resilience of a people and a meditation on the nature of a nation’s history. My main interest right now is in exploring what photographs and photographic practices can tell historians about people who left few written records, ranging from female students in Victorian female colleges to Teddy Boys and Girls in 1950s London. I am currently working on a history of crime scene photography in Britain and in particular the shifting practices of abortion crime scene photography in London between 1950 and 1967. After that I promise to focus on something more cheerful. “We were having a lot of fun at the photographers”: Hellmuth Ladies’ College Students in Photographs, London, Ontario, 1885-1891” Ontario History, forthcoming. “Teddy Boys and Girls as Neo-Flâneurs in Postwar London”, Literary London Journal, forthcoming. “The Development of Forensic Pathology in London, England: Keith Simpson and the Dobkin Case, 1942” Canadian Bulletin of Medical History, 29:2 (2012), 43-63. “Landscapes of Fear: Wartime London 1939-45”, Journal of British Studies, 48: 1 (January 2009), 153-175. “Heads up, Girls”: Women’s Politics, Poetry and the Feminist Historiography of the Great War”, in the Canadian Journal of History 42: 3 (Winter 2007), 411-37. 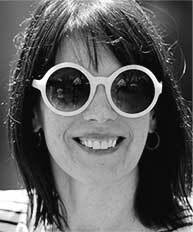 © 2019 Dr Amy Helen Bell. All Rights Reserved.